Over the last 10 to 15 years, the world surrounding the beer industry has dramatically shifted. 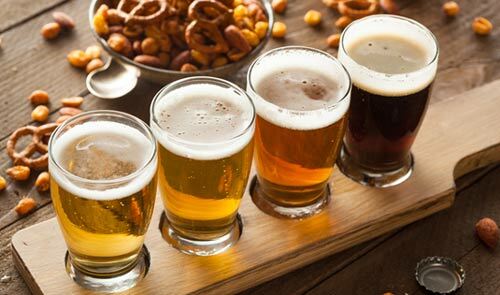 With a new generation of artsy, alcohol-loving millennials who greatly enjoy turning everything into a unique, emotional experience, the demand for beer drinking to fall in line with that concept has become a high priority in the culture. Where mass-produced six-pack cans of so-so beer and super bowl Sundays used to be the primary ways to enjoy beer socially, passionate craft brewers have risen out of the shadows and changed the way we see and experience the handsome amber beverage. If you love beer and the idea of working with it, you no longer must find a job at a bar or in a huge commercial factory. Now you can find quaint beer dens aglow with hard-working craft brewers who are willing and eager to help you understand what great beer should taste like and how you can create that great beer. Craft brewers are passionate about what they do and about growing the craft brewery market. Here are what 10 insiders have to say about what it takes to become a craft brewer. This young entrepreneur fell in love with beer as a college student and took a job at a big brewery and a side job with a retail wine store in Seattle, Wash. after graduating from college. It did not take him long to figure out he wanted to combine ideas from the brewery and the wine store to create his own craft brewery. Why couldn’t he make masterpiece beers and invite people in to taste and experience the process just like in the wine industry? Although the idea was good, he quickly found that opening your own successful brewery was not easy. It took him some time to succeed — experimenting with taste and atmosphere and failing often — but he never gave up. 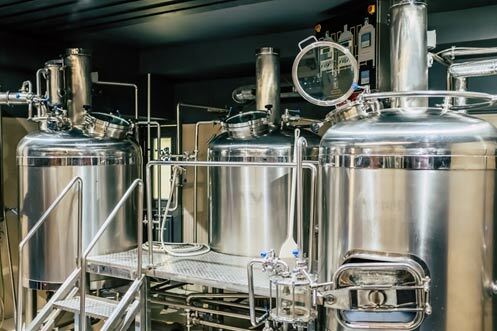 According to Morris, the most important thing you need to know when pursuing a career as a craft brewer is to have a solid plan and be extremely flexible and hardworking when it comes to executing that plan. Dustin Hazer of Helio Basin Brewing Company says that when pursuing the idea of being a craft brewer, you really need to decide if it’s something you want deep in your bones or if it’s just a passing interest. He explains you need to accept that craft brewing is a lifestyle and not just a job in the industry. You must really love it to endure the long hours of hard physical labor that go into craft brewing with what is often low compensation in return, especially when you are just starting out. According to him, if you love it, every bit of that work is worth it. 3. Danny Bruckert of Circa Brewing Co. Craft brewers are a tight-knit circle, and if you can get an in with one, you can often network with the rest. Danny Bruckert of Circa Brewing Co. says that a terrific way to learn how to be a craft brewer and what it takes to succeed in the business is to volunteer at a craft brewery. If you are unwilling to push into the creative side of the business and try out new things, it can be very hard to get your start in the craft brewing world. That’s why Erik Lars Myers of Mystery Brewing company emphasizes the importance of being willing to take a risk with innovative ideas. Realize that what you are getting into is a field that is growing in competitiveness, so you must bring something unique to the table. Andrew Hood started out doing grunt work at a major brewing company he had pushed his way into while attending the Siebel Institute, a Chicago brewing school. His dream was to become a master brewer, and he quickly realized the importance of not only gaining experience from working alongside other brewers but also getting the education and figuring out what works in the competitive craft brewing market. You must be willing to start from the bottom, work your way up and do the research you need to learn how to be the best. This may include school, home brewing sessions and more. Capital is a hurdle every new business owner must face. Chris Cramer of Karl Strauss Brewing stresses the need to know how expensive the endeavor of becoming a successful craft brewer can be and to raise more capital than you think you will need before you start. Be realistic, have a capital cushion and be patient, counsels Michael Kane of Kane Brewing Company, who warns that “starting a brewery from scratch is incredibly time-consuming and expensive.” You will need to buy all the equipment and ingredients you required for brewing, find a space to work and open in and fill out a lot of business paperwork before you can even start creating craft beer and serving the public. Julia Herz, program director of the Brewers Associations craft beer program, advises that “the most successful ventures are highly organized on both the business and quality fronts.” She warns that “you can’t just make beer and [hope] people fly through the doors.” You need to make sure what you are making is high quality and be smart in how you go about marketing it and budgeting your costs. Do not just buy equipment and quit your job without a concrete plan of action and a calculation of the risk involved. Steve Parkes is the owner and lead instructor of the American Brewers Guild, one of the premier brewing schools in the nation for the craft brewing industry. If you want to get into craft beer brewing but don’t know where to start, he can help you learn what you need to know to survive in the field. He saw the need in the industry for education of brewing science and business, so he created several classes for aspiring brewers, including a Craft Brewers Apprenticeship Program. If you don’t know the science behind brewing — like what fermentation enzymes are used to break down the yeast in your beer — and you don’t know the business, Parkes feels you won’t get far. Morgan Walker Clarke is a writer and food aficionado from Dallas, Texas. He has 10+ years of restaurant and craft brewing experience as well as an extensive background in food science. In his spare time, he enjoys creating his own recipes for his friends and family to enjoy! He is a frequent contributor to the food-science blog for Enzyme Innovation.